With the main goal to build karting as a whole, ROK Cup USA announced today some changes to the already published 2017 schedule. 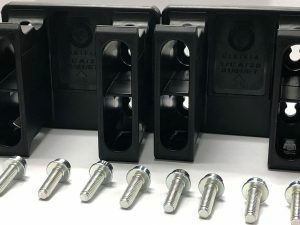 Looking to ease the travel of race teams and drivers, changes have been made to the ROK Cup USA Midwest events at PittRace and Oakland Valley Race Park. The second event that was scheduled for June 9-11 at Oakland Valley Race Park (OVRP) has been delayed one week to June 16-18 to allow more time for the newly paved facility to cure and be in prime condition for the opening Midwest event. With the second round of the ROK Cup USA Midwest Championship being pushed back to June 16-18, this allows competitors to travel and take advantage of two events as the US Open and United States Rotax Grand Nationals will be held less than 200 miles south the following weekend. The two events at New Castle Motorsports Park (NCMP) on July 7-9 and August 18-20 will remain unchanged. 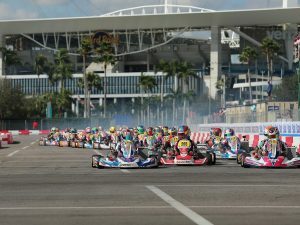 The July 7-9 is the weekend prior to the World Karting Association Manufacturers Cup event held at the same facility while August 18-20 is the weekend following the SKUSA Pro Tour SummerNationals. 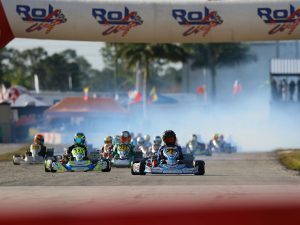 With the goal to build club and regional programs around the country, ROK Cup USA will develop and implement a program to help grow the sport of karting and participation in the ROK product line around the country. With unique programs to be announced in the very near future, the ROK Cup program will continue its tremendous growth all while bringing the customers to the forefront.